It’s October already and temperatures have started soaring again. 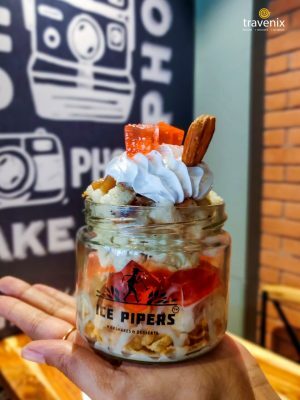 Mumbai’s unforgiving weather can be a pain to deal with at times but thanks to places like Ice Pipers in Malad, you can get a breath of cool air! 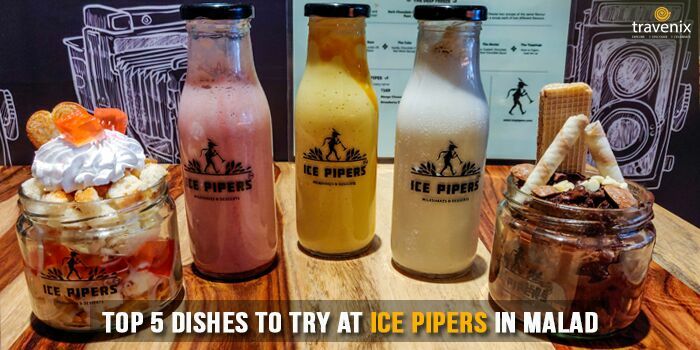 Ice Pipers in Malad brings to you the finest of milkshakes in town which are freshly made in front of you! 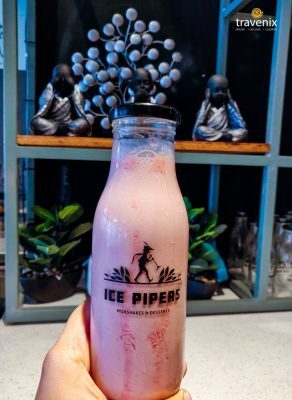 Ice Pipers has some of the most unique shakes out there. Moreover, the variety of shakes that they have will boggle you and leave you confused about which one you want to try! Let’s take a look at some of the best shakes that they have. 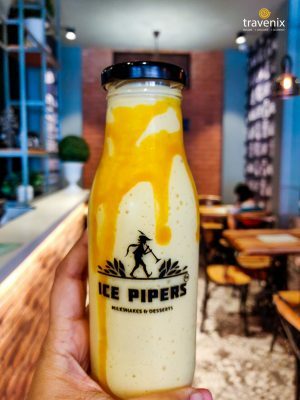 As the name itself suggests, this shake is made from Mango Cheesecake. Yes, you got that right! If you’re a mango and a cheesecake fan, or both, you’re in for a great gastronomic ride for this milkshake brings to you the very best of both. 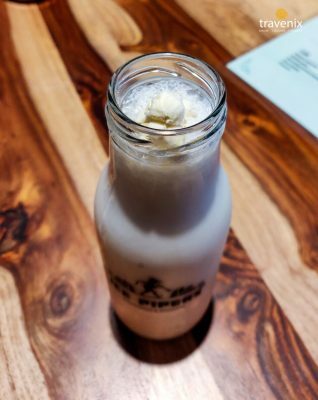 If you’ve ever felt like gulping down a cheesecake in one bite, this is your chance to do so in one sip! However, it’s pretty thick so, challenge accepted? Just like the Mango Cheesecake Shake, this shake is made from Strawberry Cheesecake and is the perfect drink for all the berry lovers out there. It’s slightly sweet and sour at the same time with tiny seeds of strawberry to give you the feel of literally drinking a strawberry. It even has a distinct flavor of cheesecake that makes it all the more delightful to drink. This one is a completely unique milkshake. Fruity milkshakes are fairly common. But where have you ever seen a popcorn shake?! This milkshake is made in such a manner that you feel like you’re drinking popcorn. We tried it and we were surprised to find it exactly similar to the flavor of popcorn. Kudos to this one! Mickey Mouse is served in a glass jar and it consists of various layers of chocolate to give you the truly chocolaty experience. The first layer is Hide N Seek, the second – Cake Pastry which is topped with Chocolate Sauce which is further topped with Chocolate Ice Cream and then one final layer of Chocolate Cake. The dessert is finally topped off with white and dark chocolate chips, wafer roll and chocolate roll. 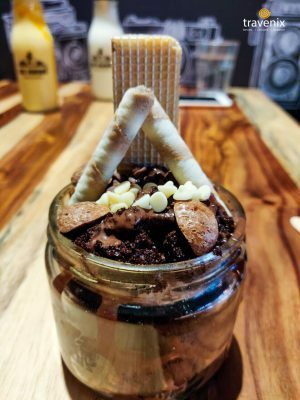 Just like Mickey Mouse, this one is served in a glass jar as well. It consists of a whole load of ingredients as different layers. Cornflakes, Vanilla Sponge Cake, Jelly, Custard Sauce, Cinnamon Apple, Whipped Cream, Powdered Pink Sugar, Little Hearts are all put together to give you the delightful combination. The only way to truly experience this one is to try it!